The type T. Vh. Re. 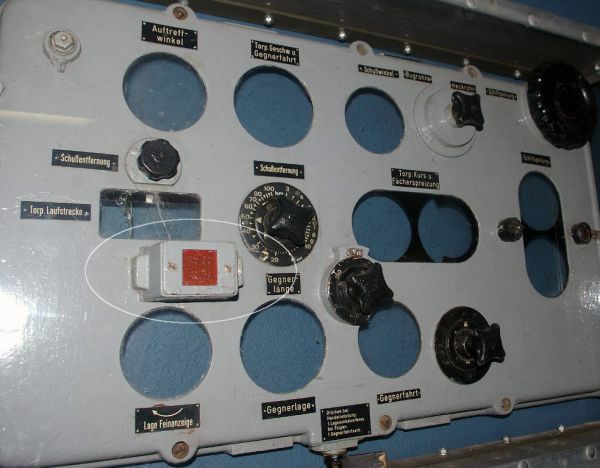 S3 torpedo calculator which entered the service in 1941, until the end of war remained the main component of German U-Boats fire control systems. However, in this period (1941-1945), on the basis of gathered experience, some improvements were done. The early version of the device is described here and here. The first significant improvement was an addition of the angle of impact switch and control lamp (Germ. Endlageschalter). This improvement is mentioned several times in the reports on the interrogations of survivors from sunken U-Boats. The angle of impact control lamp was added to the front panel, on the left side, just below the drum showing the maximum distance the target. From the reports quoted above and from the photographs dating, one can estimate, that introduction of the angle of impact switch and control lamp begun in the end of 1942. 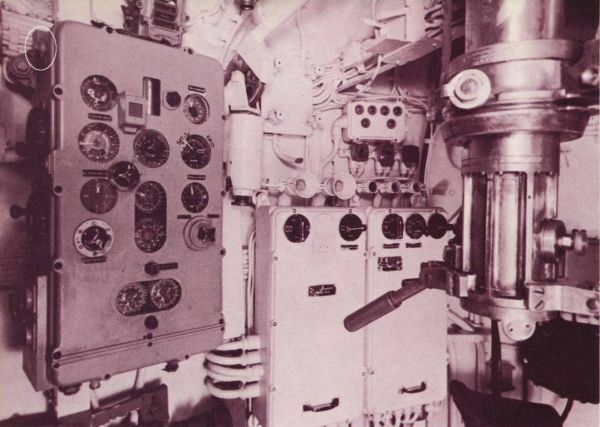 The purpose of this switch was to inform, that the torpedo impact angle was smaller than 30° or greater than 150° and thus eliminating the torpedo duds resulting from inadequate impact angle. The inadequate impact angle could result in improper operation of the impact exploder. The introduction of the angle of impact switch can be related with the introduction of the new impact-influence type Pi 2 exploder (first combat usage in December 1942). In the War Diary of the U-Boat Command (BdU KTB), on 10 May 1943, there are gathered the early experiences with the use of such exploders. Among the others, the operational limitation related with the necessity of keeping the impact angle in the range 30° - 150° was mentioned. When the control lamp lit up, it meant that the torpedo would hit the target with too large (or too small) impact angle and the impact pistol could not properly initiate explosion. In such situation, the attack position should be altered so the impact angle became more favorable. The torpedo calculators for the type XB U-Boats (which were armed with two stern torpedo tubes only) were not fitted with parallax switch (vorn/achtern). Presumably, calculators for the type II U-Boats did not have this switch also. 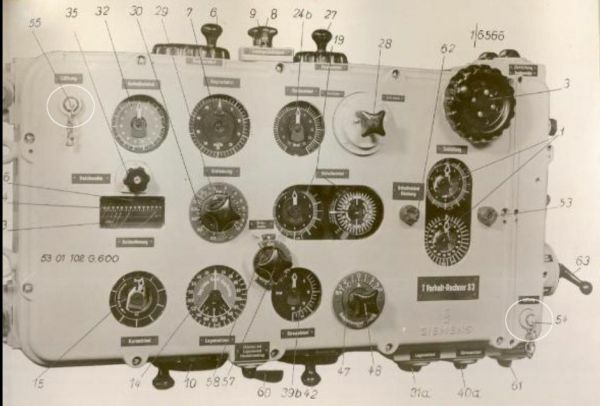 the torpedo calculators for different types of U-Boats were fitted with different 3-dimensional cams inside the component for calculating the parallax correction. It resulted from different distances between the periscopes and the torpedo tubes. From this distance depended coordinates of the equivalent point of fire. The innovate type XXI U-Boats were intended to be fitted with a quite new torpedo fire control system. This new system would allow for blind launching torpedo, without usage of the periscope, only on the basis of acoustic bearings. When the first Electro-boats entered the service, it turned out that the development of the fire control system was not completed. In such situation, Germans decided to use type T. Vh. Re. S3 torpedo calculator. The calculator was installed in the conning tower (similarly as on type IX and XB). 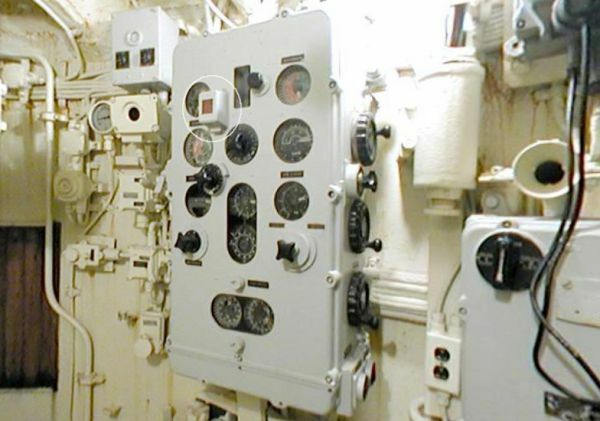 Similarly, as in case of the calculators for type XB U-Boats, it was not fitted with the parallax switch (vorn/achtern), because Electro-boats were armed only with bow torpedo tubes. On the photo one can see, that the angle of impact control lamp is embedded directly into the front panel, not into the protruding cap as in case of earlier versions. Presumably, this modification required some rearrangement of the calculator internals. In the final years of the war, three other modifications were introduced. These improvements were required by new type of the torpedo, that just entered the service (a pattern-running LUT torpedoes). These modifications will be described in the one of next articles.